WASHINGTON – HARMAN International Industries, Incorporated (NYSE: HAR), the premier connected technologies company for automotive, consumer and enterprise markets, has joined the Intelligent Car Coalition, the leading advocacy group for pro-innovation connected car public policy. In joining the Intelligent Car Coalition, HARMAN continues its work collaborating with companies and trade associations in the communications and automotive industries to support understanding of how connected car technologies impact federal legislative and regulatory initiatives. HARMAN joins members of the Coalition, including AT&T, the Auto Alliance, CTIA, Global Automakers, MEMA and Verizon, to advocate on public policy issues critical to the advancement of connected cars. These issues include driver attention, data privacy, cybersecurity, autonomous vehicle technology, innovation policy and more, as the automotive industry is further transformed by technology and innovation. “HARMAN’s solutions are critical components within connected cars as well as powering the connected car ecosystem, and we are thrilled that they will share their unmatched perspective to further conversations in Washington that determine how fast and how far these beneficial technologies advance,” said Catherine McCullough, Executive Director of the Intelligent Car Coalition. 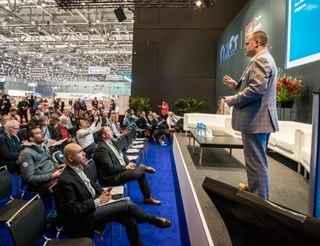 With more than 2,000 patents in key domains – including safety, design, navigation, connectivity, networking, HMI and more, HARMAN continues to push the boundaries bringing connected car innovations to market that improve driver safety, increase vehicle security and enable new connected experiences. The mission of the Intelligent Car Coalition is to advocate for public policies that bring the benefits of innovation at the intersection of automotive and communications technologies to consumers and promote safety, mobility, and transportation efficiency on our nation’s roads and highways. For more information, visit www.Intelligentcarcoalition.org. HARMAN (harman.com) designs and engineers connected products and solutions for automakers, consumers and enterprises worldwide, including connected car systems, audio and visual products, enterprise automation solutions and connected services. With leading brands including AKG®, Harman Kardon®, Infinity®, JBL®, Lexicon®, Mark Levinson® and Revel®, HARMAN is admired by audiophiles, musicians and the entertainment venues where they perform around the world. More than 25 million automobiles on the road today are equipped with HARMAN audio and connected car systems. The Company's software services power billions of mobile devices and systems that are connected, integrated and secure across all platforms, from work and home to car and mobile. HARMAN has a workforce of approximately 28,000 people across the Americas, Europe, and Asia and reported sales of $6.5 billion during the 12 months ended December 31, 2015. The Company's shares are traded on the New York Stock Exchange under the symbol NYSE:HAR.